Deciding to use tile only starts you on the process of choosing your home’s options. There are so many kinds of tile, and each has its special appeal and challenges. Let’s take a look at your choices, starting with glass tile. Glass is a relatively new material for tile. It’s more common in contemporary homes, but people are starting to recognize its value in adding drama to traditional spaces also. It’s most often used as a kitchen backsplash or in a small bathroom. The vivid colors and personality of glass makes it just the right choice when you want a small space to stand out. Glass rectangles and squares in smaller sizes lend themselves to a mosaic effect. The rich variety of colors and tones creates an opportunity to develop an art look to a wall or backsplash. Metallic tiles also work well with glass because they both have a glossy finish. Glass is not as durable as other types of tile, which makes it unsuitable for floors. It will scratch and crack when abused. It also requires special installation techniques and materials. Make sure your installer has worked with glass and understands its unique requirements. And don’t try to install it yourself – it’s worth the cost of an experienced professional. Recycled glass provides the same style impact while meeting green home goals. Altogether, you will be amazed at the variety and drama available with glass. Consider adding it to your home’s tile plans. Stay tuned for more posts in this series! It’s obvious, right?!? The flooring just doesn’t work in this room. 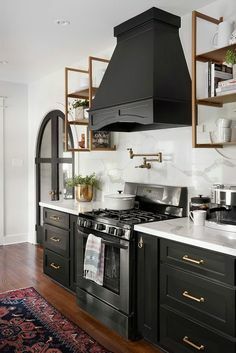 The cabinets are lovely – a light maple in a Shaker style. The black countertops and matching appliances provide just the right note of contrast. However, the floor gives the whole kitchen a dull feel. This room could handle either a dark or light tile. Even a black and white pattern would liven up the space. But this flooring choice doesn’t match the cabinets and yet doesn’t look different enough to stand out from them. The other problem with this kitchen is the general lack of excitement. Imagine the space with a colorful backsplash done in glass tile. Right now the backsplash simply mirrors the white inside the glass-fronted cabinets. This demonstrates yet another opportunity to take this room out of the ordinary that was ignored by the homeowner. When planning your kitchen, give some serious thought to what you can do to get your guests to look twice. A little imagination and creativity and you too can have a kitchen to remember, and without having to hire a cook that makes everyone nervous. Stone flooring has been valued for centuries for its beauty, durability and strength. Natural stone is an all-weather material that can be cool and comforting in warm weather and made warm and inviting with rugs in cold weather. Different types of natural stone are used as flooring material. Common choices include granite, slate, sandstone, marble and limestone. Stone’s natural differences provide an inviting personality for your floors. Stone floors are strong and last a lifetime if properly maintained. A stone floor looks good whether it is highly polished or left with a rough natural look. Rougher stone provides a more non-slip surface for families with children or pets. Be cautious with stone in bathrooms or kitchens, because some become extremely slippery when wet. Maintaining stone floors is fairly straightforward. A little wet mopping is enough to keep stone floors clean. Stone is both heat and moisture resistant. Some stone floors do better with annual sealing to protect the beauty of the finish. Stone flooring is often a sustainable choice, depending upon the transportation requirements of your chosen variety. One concern with stone flooring is the risk of grave injuries with a fall. Stone is therefore not an ideal flooring option for older adults. The floors are also very noisy especially in high-traffic rooms. Stone is a heavy flooring material and needs a strong concrete subfloor for stability. Installing stone flooring is not easy and requires the services of an expert. This is definitely not something you want to tackle on your own! Natural stone flooring is also more expensive than most other options. Unsealed stone flooring is also more easily stained than other flooring choices. Natural stone is a good flooring option if you are looking for a strong yet beautiful flooring material. Be sure to evaluate your needs and goals to determine whether stone is the best floor choice for you. When you are looking for the perfect tiles for your floor, don’t forget the grout! The grout color improves the appearance of a tiled floor and acts as a framing system among the tiles. The right grout will show your tile selection to best advantage. White used to always be the standard grout between tiles. Manufacturers introduced colored grout to provide an additional design element and to help camouflage the dirt and grime that settles between tiles in high-traffic areas. White grout can look stark with a natural-toned tile. If you want to stay light, choose a parchment, cream or ivory shade instead. If you do want a light grout, make sure to have the grout sealed to keep it looking clean and avoid staining. Grey and brown are other common shades of grout. Grey grout is perfect for cool or light colored tiles while brown grout complements floor tiles in warm tones. If you want a floor with an even appearance, choose a grout with a color similar to your tiles. For a bit of pattern, you may want a few shades lighter or darker. You can choose grout in a contrasting color for a unique visual effect. Contrasting grout color can also be used to add definition to the floor tiles. If you choose a darker shade for grout, you must keep in mind that dark colored grout fades when exposed to direct sunlight. It is prudent to stick to lighter grout shades if the room gets excessive sunlight. Choose grout color carefully because it will make a beautiful difference to the overall appearance of your tile floor. At Century Tile, we believe that an informed customer is a confident and powerful customer. Before you start looking for the best flooring options available for your home, it’s to your advantage to read and learn all there is to know about the ideal flooring styles and material for different types of rooms. You can learn all about the types of flooring material and styles best suited for your needs by using the tools provided on our website. (You thought we were going to say something complicated, right?!?) You can make notes on your research, save items to your very own workbook (just register here first) or you can bring your notes with you when you start shopping. You can also find information on the benefits and styles of flooring options on websites of associations of specialist flooring manufacturers or other flooring professionals. Some resources include the National Wood Flooring Association and The Carpet and Rug Institute. There’s a new laminate blog from the North American Laminate Flooring Association. You can also find interesting and informative articles on flooring and the pros and cons of different types of flooring just by searching the Internet. Both experts and other consumers will give you information on the conveniences and problems associated with different types of flooring material. However, we encourage you to keep in mind that consumer opinions are not always accurate assessments. Take a look at a number of reviews and comments before making up your mind. Feel free to ask us about any concerns or questions you run across. You may also want to check out some of our past blog entries for insights into making good flooring decisions. If you are environmentally concerned, check websites of organizations such as the Green Building Council or the Forest Stewardship Council to better understand the environmental aspects of different types of flooring. Your research may create as many questions as answers. Don’t hesitate to bring your questions along with you when you shop for flooring. Once you’ve done you “homework,” you can search confidently among the numerous flooring options and make the best decisions for you. With winter weather coming soon, what can you do to protect your nice wood floors or carpets? A few short steps will help address the problem. Consider every entryway in your home as a possible source for dirt and damp on your floors. With a simple multi-step process, you can ensure that the weather stays outside. Begin with doormats. Look for large mats with a rough surface suitable for scraping off snow, ice and mud. The material should have some absorbency also. Look for mats that are functional rather than stylish – this is about protecting your home. Many options offer both function and looks. Finally, keep these mats clean. A dirty mat will just lead to dragging dirt into your home. Once inside your home, add another mat just inside each door. Low-nap mats are available that allow doors to open over them. Many of these are also super-absorbent to pick up the next layer of dirt and damp. If these two aren’t enough, add a third rug just outside your entries – a machine-washable one that is large enough to ensure that people will step on it with both feet on their way into your home. Take a look at the dirt trapped on that rug and you will know whether that third step is needed for you. It’s much easier to keep your floors nice from the beginning than to have to restore them later. With these steps, you will really reduce your floor protection worries. If you are drawn to the sculptural look of modern design, you may want to consider starting with an ebony-toned wood floor. The unusually dark tones provide the perfect foundation to a totally contemporary room. This dark floor works well with both pure white and the rich colors that often reflect contemporary style. How about combining this floor with a white sofa, a fireplace with textured tile that reaches to the top of a vaulted ceiling, and several contemporary abstracts in vivid colors? As you can see in this photo, an ebony floor allows artwork and other room elements to pop. Unlike other wood floors, this darker tone is relatively new, and the look will be unfamiliar to many. 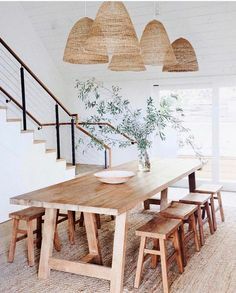 The cooler tones allow you to either warm the space with other woods, or use metal and fibers to keep the cooler mood. If you already have selected your modern furniture, ask for a sample to see how your current furnishings will work with this look. You will probably be pleasantly surprised; this floor is remarkably versatile. 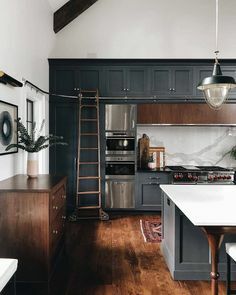 Ebony floors range from looks like this with some tonal variety to floors that read almost totally black. Look for the floor that works best for your personal style. Talk to your salesperson about your goals, and he or she will show you the best options. If you would prefer to start browsing online, feel free to start the process by browsing our online product catalog by clicking here. Getting Your Home Back After the Kids Have Been Home ALL Summer! We recently had a question that we thought we would share in hopes of helping more moms in the same situation! Hi! As the kids are starting to trickle back to school in the Chicago area and by Labor Day school will be in full swing , many moms like me are breathing a sigh of relief as we look forward to a new found peace and quiet. However, in the mean time I would like to ask for help due to a small amount of frustration from my children having redesigned our home over the summer holiday. The wood floor in the den now has a few new distress marks, the bathroom ceramic grout lines are turning black from all the hundreds of showers and the area rug in the front foyer has a new polka-a-dot pattern, courtesy of my daughter. Can you give me any advice for any of these problems? Thank you! We’ve got you covered! First, wood floor manufacturers understand and expect these accidents to occur. Fill kits are available for scratches or if the damage is significant, single board replacements are possible with a qualified installer. The grout issue is simple and easily corrected with Century Tile #51 Mildew Remover or the Heavy Duty Tile and Grout Cleaner by Aqua Mix. Be careful with those home bleach remedies. The bleach will kill the mold growth however; the color pigment might be affected, especially if it is not an epoxy based grout. The carpet (or area rugs) has a couple of solutions. If you are aware of the stain you should immediately, blot the stain with clean white cloths and use a factory recommended stain removal process. Companies like Shaw Carpets have help lines to work you through these issues (http://www.shawfloors.com/Customer-Care/Contact-Us or 1-800-441-7429. If the carpet stains are set, there’s still good news! We offer an area rug cleaning service. All you have to do is roll up the rug and drop it at any Century location. We can send it out and the professional’s got to work on it. Accidents happen, they are not necessarily intentional, but they occur. Century Tile is always happy to help you solve your “redesign” issues!